Hygge. A word which has quite literally been on everyone's lips over the past few years but something that only recently I have started thinking about and trying to implement into my daily life. 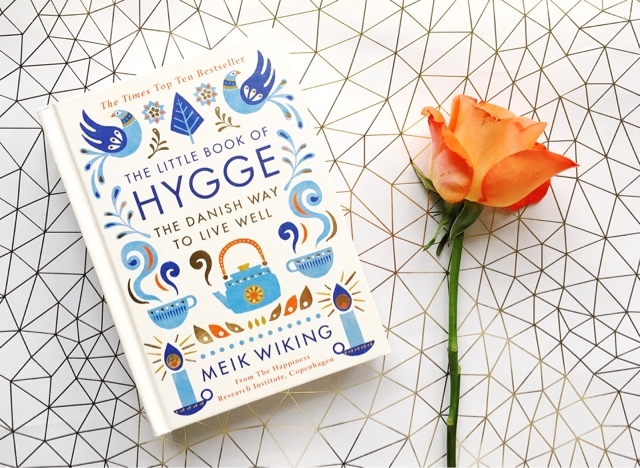 I picked up this little book in the Summer after stumbling across an old post of Katy's and decided to order The Little Book of Hygge, the Danish way to live well, and I loved it. I read it everywhere, in the bath filled with bubbles and a cup of tea, in bed all snuggled up with my fairy light pictures on before bed, even sitting in my living room at the window, listening to the patter of rain whilst being cosy inside with my candles lit. That's what hygge to me is all about, those little moments and times of just cosy snuggly happy warmth. I think it was my newfound appreciation for all things hyyge which inspired me to go to Copenhagen - where better than the home of hygge to find out what it's all about? Don't tell W, he thinks it was the cheap flights... You can check out my Copenhagen Restaurant Guide and my full review of Mad & Kaffe if you want some hyggelig restaurant reccs if you are planning a visit there yourself! Copenhagen very much had the bustle you would normally expect from a city, but it also felt very different. It was busy, but nobody really seemed in a rush. For every high street branded store, there were plenty of independent cosy looking ones, with the most beautiful homeware and clothing. We barely recognised any chain restaurants and wandering around the streets you truly get a sense of the slow living that the Danes seem to do so well. From having a pint in Nyhavn watching the sunset to simply exploring the little streets and shops and eating all those pastries, I came back from Copenhagen with a warm and happy heart. Since our trip, I have been trying to remind myself to live life with a little more hygge. I thought I would include a little list of things I have been doing, so hopefully you click off the page feeling inspired to try some of them too. It's the little things that make hygge, no big fancy gestures, just small, happy moments that leave you with that hyggelig buzz. Lighting Candles: Currently burning a spiced apple, raisin and cinnamon one I found in TkMaxx (my favourite shop to find candles!) and it smells so delicious and v. hygge. Fairy Lights: Hygge is all about the lighting, so fairy lights help create that cosy atmosphere. Board Games: Having friends over and socialising face to face without technology is also very hygge. Our current favourite board games are scrabble and a new discovery Dobble - definitely google that one if you've never heard of it, it's so competitive and so much fun! Chocolate Fondue: After watching a Zoella vlog where she made Nutella pastries, I got the worst cravings for chocolate one night last week. So off Shannon and I went to Aldi to pick up some fruit and I finally got to use the chocolate fondue set I got for my secret Santa present last year. Mmmm. Autumn Flowers: Everywhere we saw in Copenhagen was decorated with interesting plants and greenery. Whilst I am not quite at the stage of having my own mini greenhouse in my flat, I did pick up some beautiful orange and deep red flowers this week. They are so Autumnal and help my living room look a little more hygge. 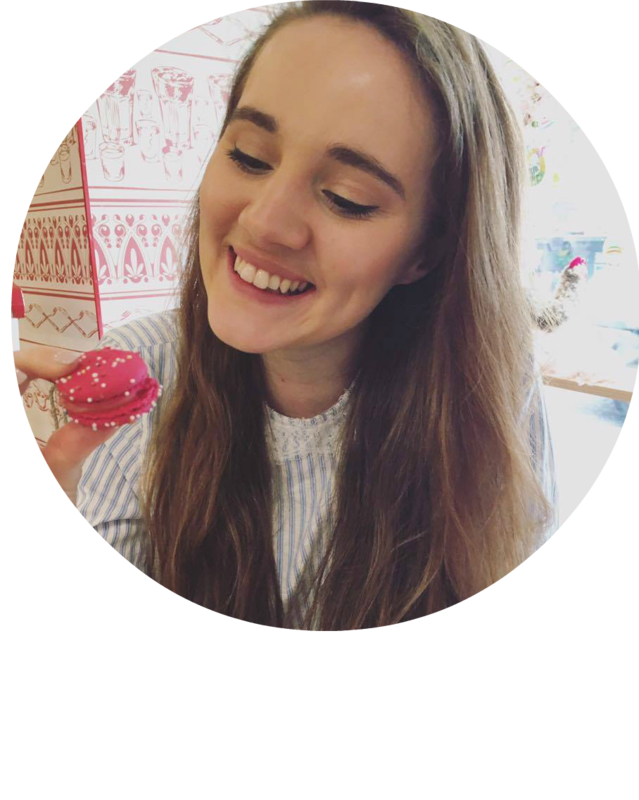 Taking time out: From bubble baths to reading in bed, I've tried to spend less time online recently and more time focusing on living in the moment and the now. Bubble baths are my favourite way to relax at the moment and I have really been enjoying reading again recently. It's so nice to have that little bit of the day to myself, especially when everything else has been so hectic recently. If you are interested in the whole concept of hygge I would definitely recommend ordering this little gem of a book and giving it a read. It has sections on all things hyyge, from how to create the perfect hyggelig lighting, to tips for making the festive season extra hygge. It's one that I know I will dip in to as the seasons change to remind myself of the tips and it is so beautifully decorated that it's perfect to keep on the coffee table. Have you read this book? Do you think about hygge in your daily life? If so, what are some of your favourite hygglig activities? Let me know in the comments! My best friend has recently been really into hygge. It's a concept that I think resonates well with me- I love big warm jumpers, mugs of tea or hot chocolate and lighting candles. It really is a comforting way to live. Love the hygge trend. It's especially lovely in autumn, isn't it? I just wish I'd have a bathtub so I could cozy up with some bubbles. i love the scandi lifestyle, probably because we have been travelling there almost every year since i was a little girl. i love the idea behind hygge and making sure you love your home and cherish time with your loved ones. I heard a lot about this book but never actually got into looking what it is about. Thanks for sharing this! !